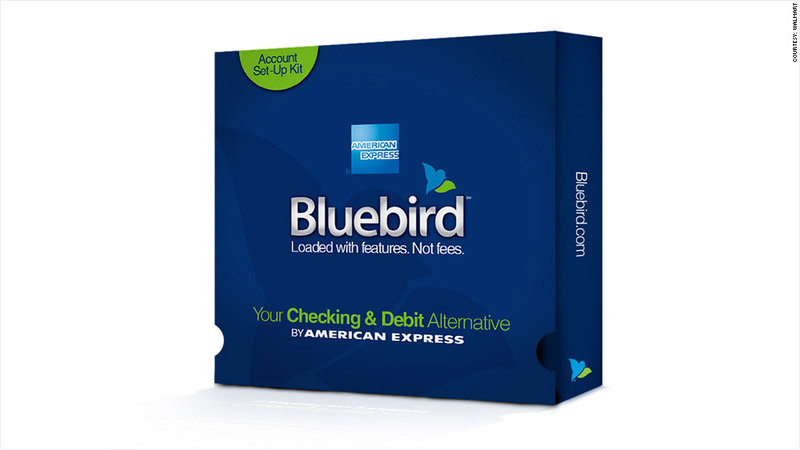 Wal-Mart and American Express announce a new prepaid card, Bluebird, that offers an alternative to debit cards and checking accounts. Wal-Mart Stores and American Express are teaming up to launch a new prepaid card aimed at giving customers an alternative to checking accounts and debit cards, the companies said Monday. The card, called Bluebird, can be used anywhere American Express (AXP) is accepted, and customers can also use it to withdraw cash from ATMs. The companies said it will have no monthly, annual or overdraft fees and no minimum balance requirement, although some ATM fees will apply. 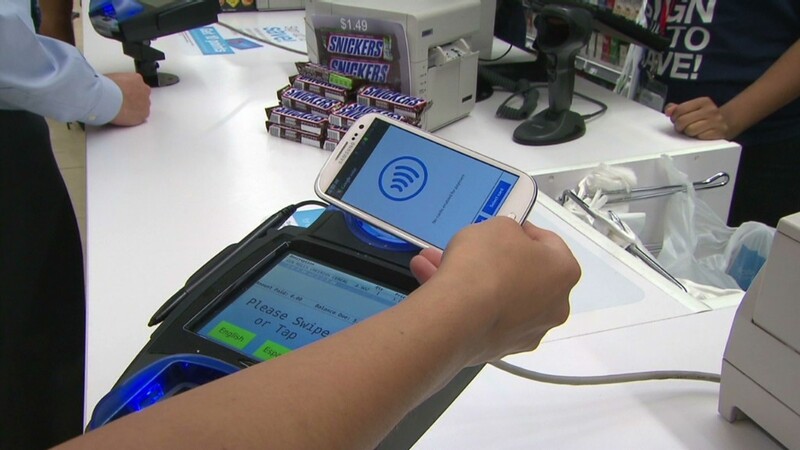 Bluebird will also let customers make deposits and pay bills using their smartphones. Users can deposit funds onto the Bluebird card in a variety of ways, including via regular direct deposits from a paycheck, according to Dan Schulman, group president of enterprise growth at American Express. The card also lets people send money directly to a customer's account using a smartphone app. The joint effort is aimed at bringing down the rising fees associated with debit and checking services today, Schulman said. This could be particularly appealing to customers who are being hit hard with climbing bank fees across the board. According to a recent report from Bankrate.com, ATM surcharges -- the fee charged when customers use a machine that doesn't belong to their bank -- rose 4% to a record high of $2.50. Wal-Mart (WMT) and American Express said that users will only pay fees that are "clear, transparent and within their control," such as out-of-network ATM fees. "Our customers tell us that they're tired of navigating a complex maze of do's and don'ts to avoid the ever-growing list of fees found on checking products," said Daniel Eckert, vice president of financial services for Wal-Mart. "Bluebird solves this problem, and we believe it's the best product on the market to help customers affordably manage their everyday finances." Bluebird, which rolled out last spring at select Wal-Mart locations, will be available next week online at www.bluebird.com and in more than 4,000 Wal-Mart stores. The retailer already offers customers a prepaid debt card in partnership with Green Dot (GDOT), but said that Bluebird offers customers an alternative. While Wal-Mart and American Express would not go into the details of the partnership, Eckert said that he hopes the card will help draw customers into stores. Shares of Wal-Mart were flat, while American Express were down slightly in morning trading.